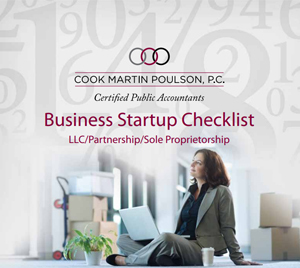 At Cook Martin Poulson, P.C., we have found that many small businesses are using their accounting software inefficiently. It’s primary use is for nothing more than getting money in and out of the door via invoices and checks. It’s also not uncommon for small businesses to enter information into their accounting programs after-the-fact for tax-filing purposes. The point of using an accounting software program is to summarize large amounts of data and to produce financial reports that business leaders can use to increase profitably. No matter the size of your business, having the right accounting software is vital. Our team can guide you through this process. We can consult, teach, train and help implement the accounting solution that works best for you. We also understand that they should be different by industry. Nonprofits need fund accounting software to track grant management, enter journal entries in various funds, and create reports for stakeholders and donors. Legal practices need something that allows them to track time and billable hours, invoice clients, and manage their calendars. No matter your industry, we’ll be able to consult on the right software for your needs. 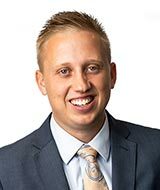 Troy Martin, at Cook Martin Poulson has been our CPA since 1993. We have numerous entities that require sophisticated analysis for tax planning, and return preparation. Troy Martin has saved us over a $100k, by proper application of the tax code to our situation. It amazes me that he remembers the details for each entity and family member. Troy goes beyond tax preparation and has recommended strategic strategy that has proved insightful and spot on. I have been pleased with the firms prompt response to our needs. 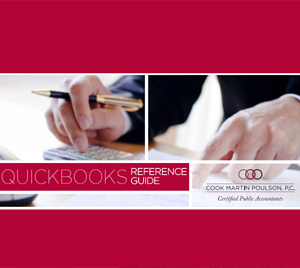 We were represent by a large nation CPA firm, however I switched to Cook Martin Poulson because they met our needs better and at less costs. We have been very pleased with their professionalism, knowledge, effectiveness, ethics, and personal concern. 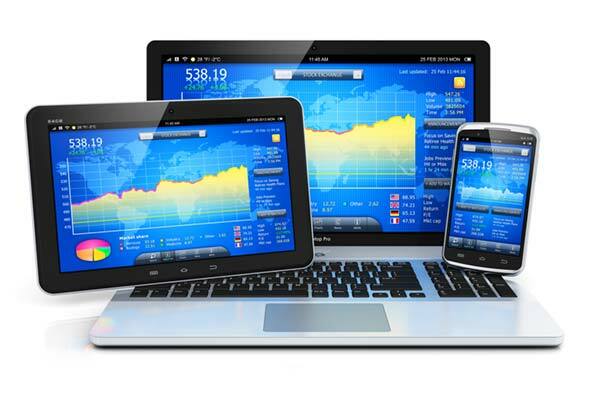 There are many accounting software solutions on the market today. How can pick the one that is right for your practice? You can start by making a list of the things you want your software to be able to do. Whether that’s just simple entries and invoices to robust reporting and payroll, having a must-have list can help you narrow down choices while you’re researching. Do you want a cloud solution or something installed on premise? Do you plan on growing your business? If so, you’ll need a software that can scale with you, not make things harder as you employ more people and bring in more money. Our team is well-versed in the types of accounting software readily available. We can work with you to find a platform that will fit your unique business needs. When implemented correctly, accounting software can streamline and simplify your business and financial processes. Your team will be able to spend more of their time on important tasks, rather than repetitive ones that take up too much of their attention. Need Help Choosing an Accounting Platform? Let us help you choose an accounting platform! Our accountants will work hard to understand your unique business needs and find a solution that will fit your process and procedures currently in place. Learn more about our accounting software solutions services by calling 435-750-5566 (Logan) or 801-467-4450 (Salt Lake City).